Used Audi A4 Review - 2008-2015 Reliability, Common Problems | What Car? There are some complaints about notchy or noisy gearboxes, but this doesn't appear to effect performance. 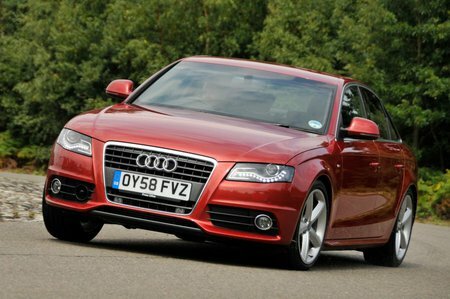 Most Audi A4s start life as company or fleet cars. Have a thorough look at the car and check it's been cared for. Heavily kerbed alloys could mean the steering alignment is out, and tyres will wear faster than expected. Also look for damage to the bumpers caused by careless reversing. Make sure the service history is complete, and that high-mileage cars have been serviced at the correct intervals.